If you’re looking for Coach Hire in London, then look no further. 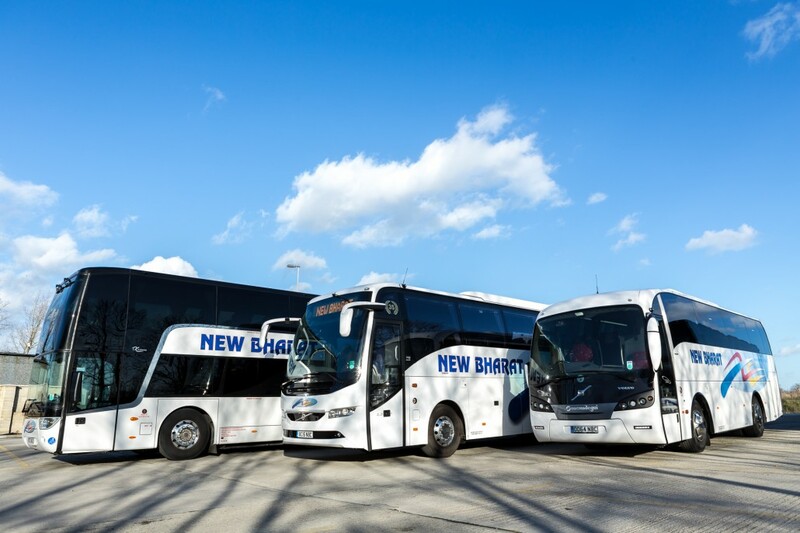 New Bharat Coaches is one of the leading private coach hire companies in West London. Established in 1977, we have over 39 year’s experience in providing high quality and affordable coach travel for passengers. Whether you are looking to hire a Coach for a School Trip, Wedding, Hotel Shuttle Service or Day Trip, we’re happy to help you. We pride ourselves in providing a reliable professional service at an affordable price. New Bharat Coaches ensures that travel arrangements are one less thing for you to worry about. With our headquarters & main coach depot based in West London, New Bharat Coaches have easy access to the motorway networks, Heathrow Airport and central London. Our large fleet of coaches range from 22, 38, 49, 51, 57 to a 85 seater double decker. Our luxury coaches are fitted with seatbelts, entertainment systems, reclining seats, toilet/washroom facilities & air conditioning as standard. All of our coaches are in company livery and we take great pride in the appearance of our vehicles both inside and out. We pride ourselves on our friendliness & personalised service. Whether you want help in planning your trip from door to door, or just have a question about coach hire, our staff are always happy to help. WiFi coming soon to our coaches. New Bharat Coaches are experienced school coach operators, with many years of providing coach hire for local schools & colleges, including swimming, sports and educational trips. All of our drivers are highly qualified, experienced & are CRB checked. We provide a reliable & affordable coach hire to schools and we work with schools to ensure that all their safety policies are adhered to as part of a schools risk assessment. As parents ourselves, we consider the safety and security of children travelling with us as paramount. New Bharat Coaches prides itself on its professional, reliable & affordable service where quality & safety are paramount. All of our coaches, buses & vehicles are checked on a daily basis to ensure safety & reliability for our passengers. We employ our own highly qualified engineers whom maintain the fleet to the highest of standards and our full time cleaners that ensure that our the coaches always leave our depot clean. All of our coaches have a satellite tracking system fitted, enabling us to track our coaches anywhere in the uk or europe. This allows us to alert the coach driver of any potential route problems and thereby minimising delays for our passengers. New Bharat Coaches provides a daily express passenger coach travel service for passengers, with scheduled bus stops from West London & Slough to Coventry, Birmingham, Wolverhampton, Leicester, Derby, Sheffield & Bradford, seven days a week. A Daily Express Bus Ticket can be purchased on the day of travel.